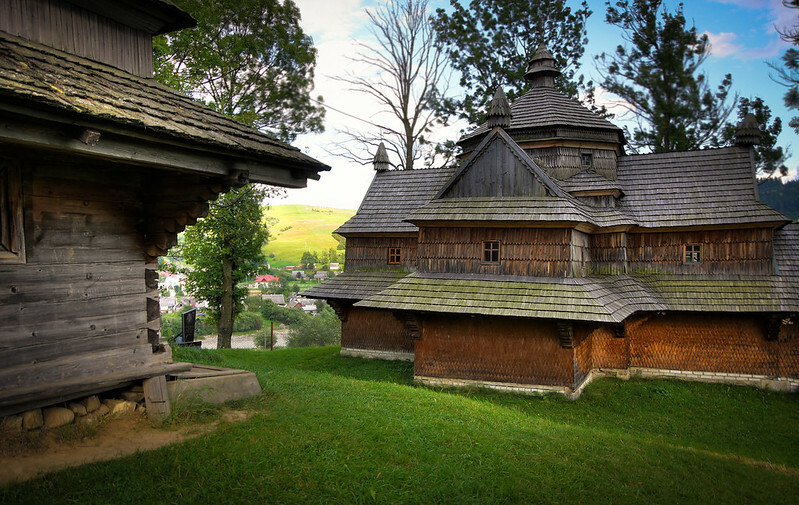 In 2013, the UNESCO selected sixteen historical Wooden Tserkvas (as these peculiar churches are called), as new world heritage sites. Eight are on Polish territory and other eight in Ukraine. 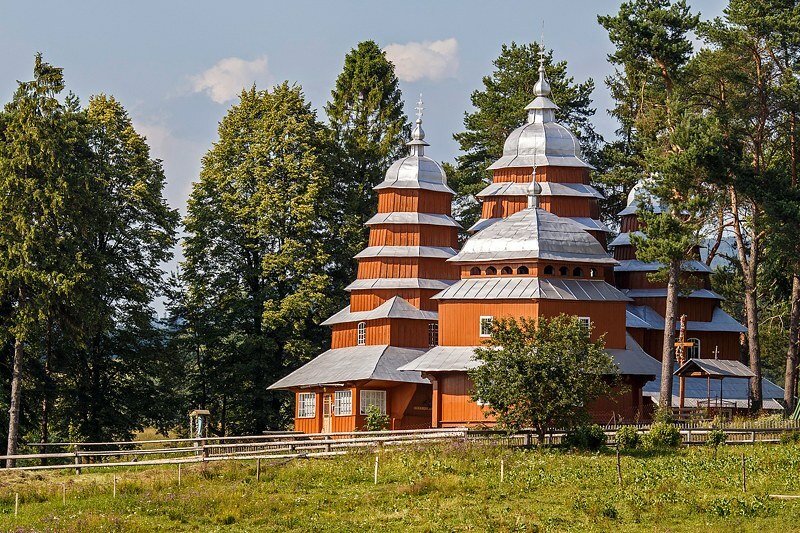 Their architecture, cultural environment and features are unique compared to other remarkable wooden churches like Kizhi in Russia, or the ones in Southern Lesser Poland. 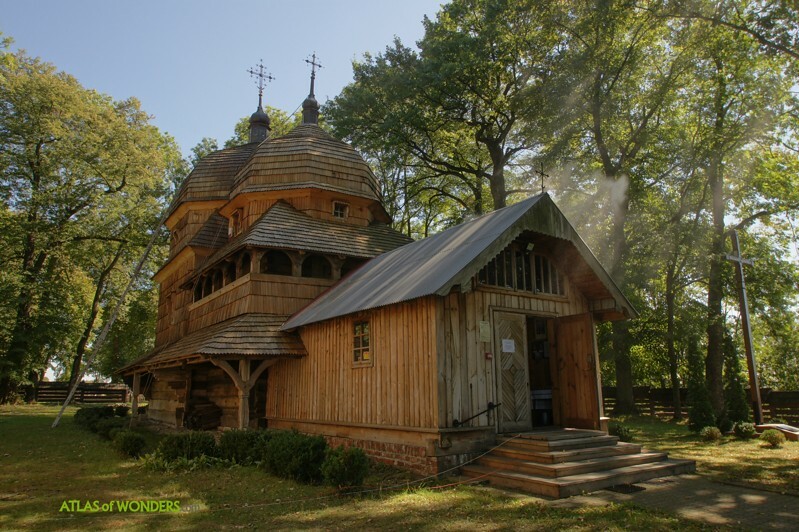 Virgin Mary's Care Tserkva, Owczary. 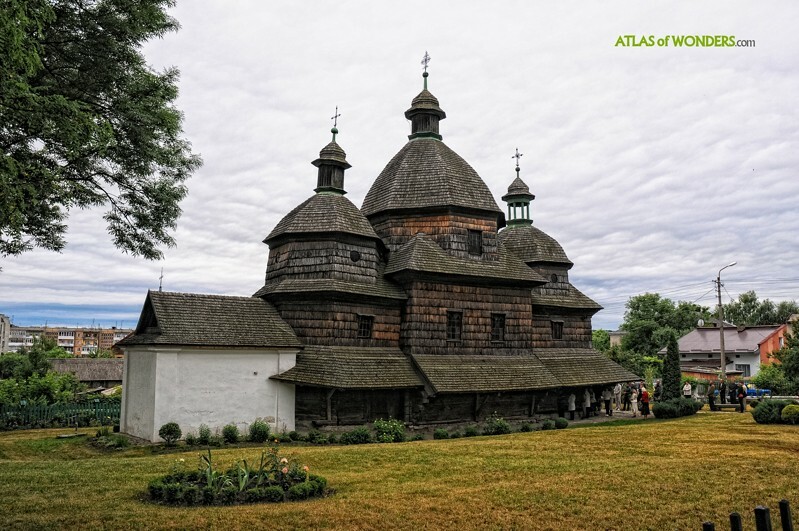 Built in 1653 and refurbished several times until it got this elegant look. 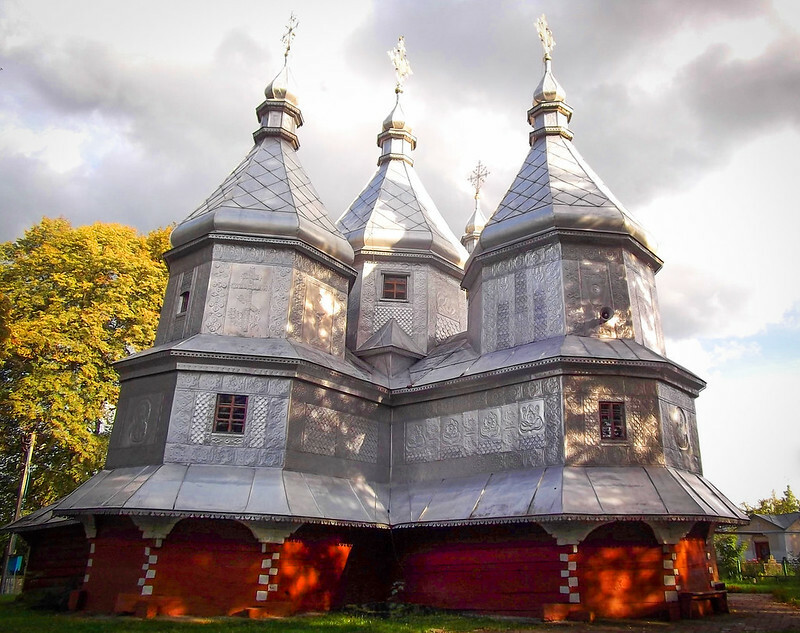 Tserkva of the Birth of the Blessed Virgin Mary, Chotyniec, 1615, with the domes on octagonal drums. 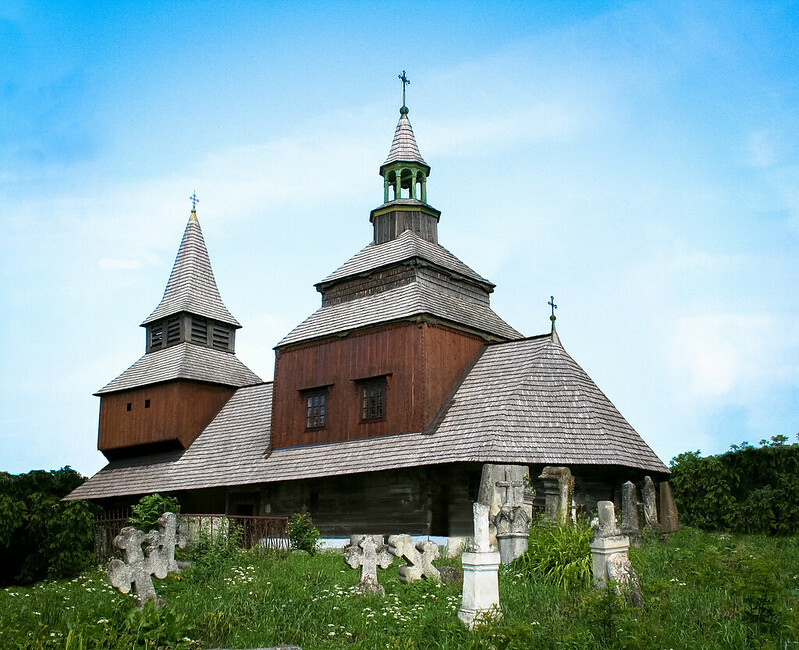 St. Michael the Archangel Tserkva, Smolnik. Rebuilt in 1791 after a Tartar invasion burned it down. 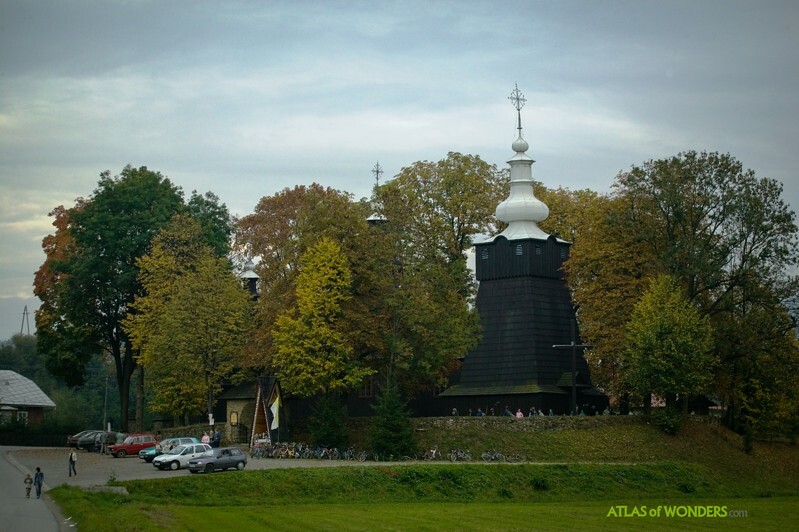 The bell tower of the Tserkva of St. Paraskevia, Radruż, 16th century. 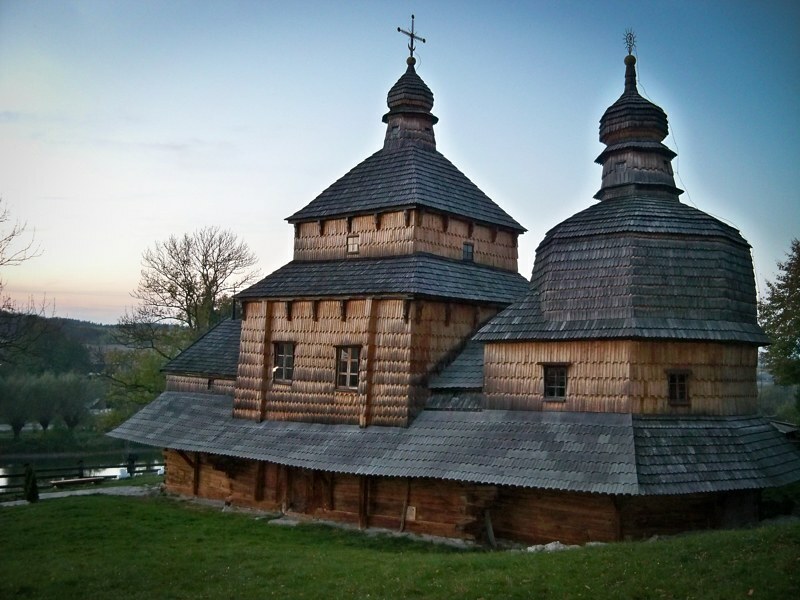 In this picture you can appreciate the size of the church of St. Michael the Archangel, Brunary, 17th century. 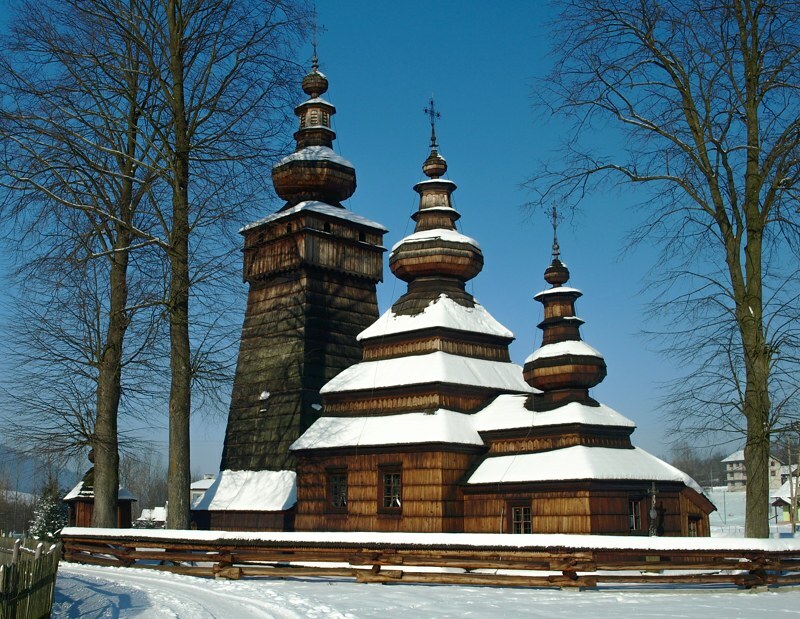 Tserkva of St. Paraskevia, Kwiatoń (17th century), still in Poland. We cross to the other side of the border; the next eight tservas are located in Ukraine. 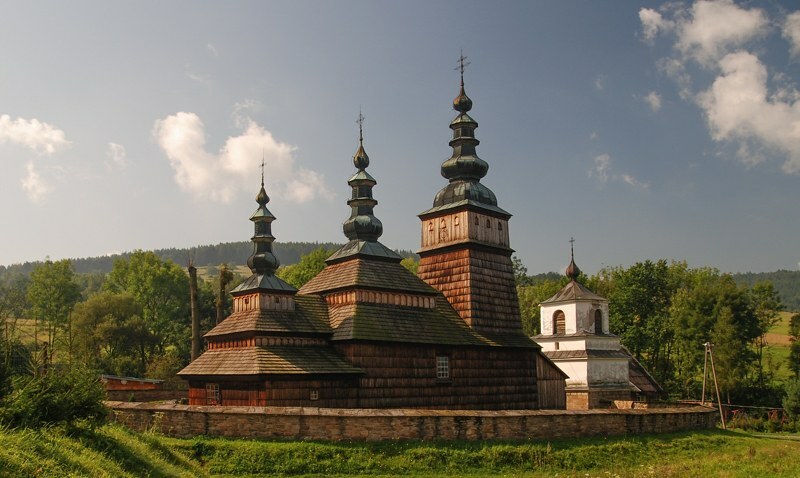 Holy Trinity Church, Zhovkva, 1720. 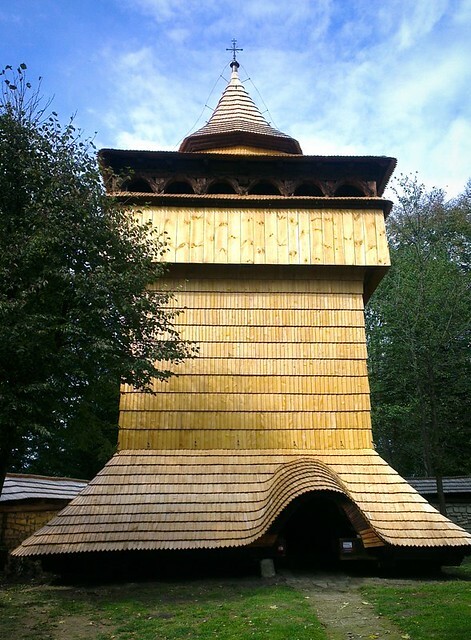 Descent of the Holy Spirit Church, Potelych. 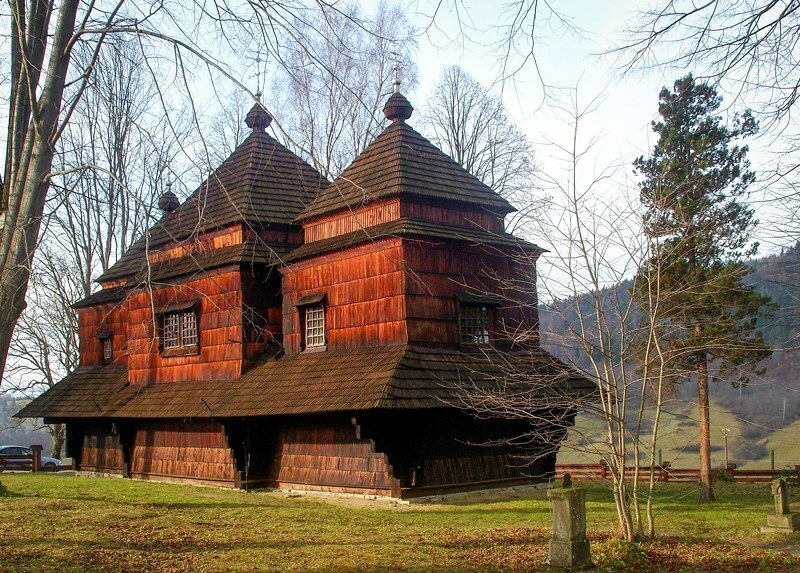 Built in 1502, this is the oldest tserkva of the list. 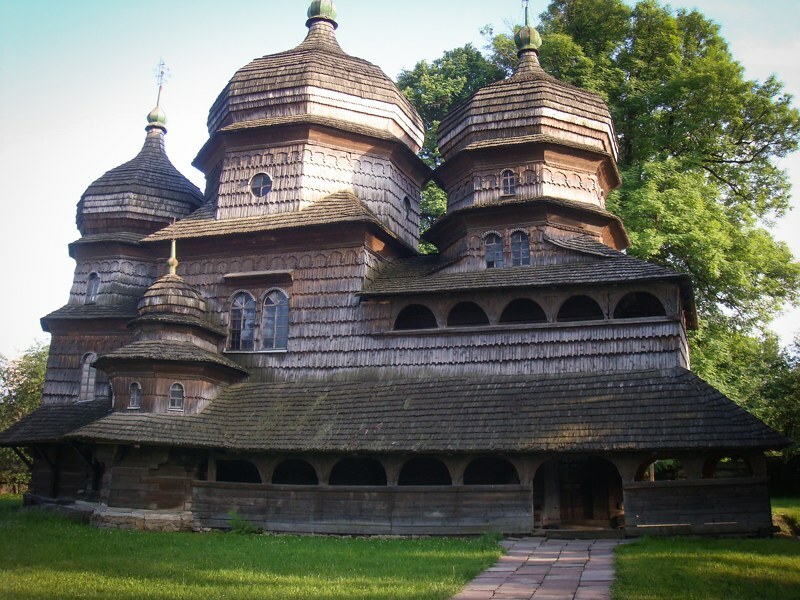 St. George's Church, Drohobych. 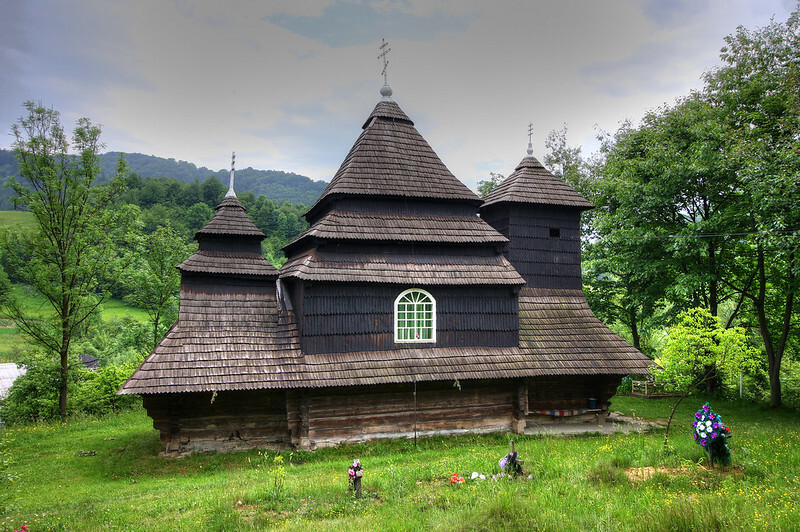 Built in the second half of the 17th c., it looks like a medieval ship on dry land. The Church of Ascension of Our Lord, Yasynia (1824), with its bell tower at the left. The curious St. Dmytro's Church, Matkiv (1838). It features five sloping sections and helmet-shaped domes. 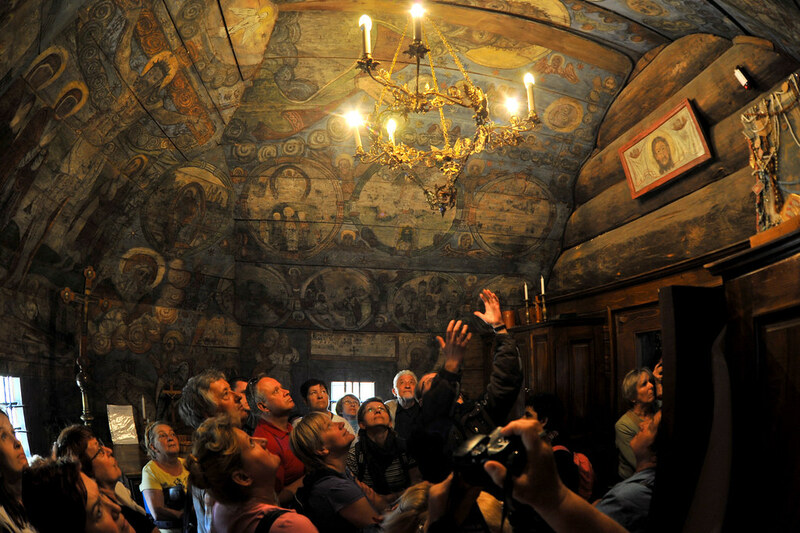 An old image from the Descent of the Holy Spirit Church, Rohatyn (beginning of the 16th century). 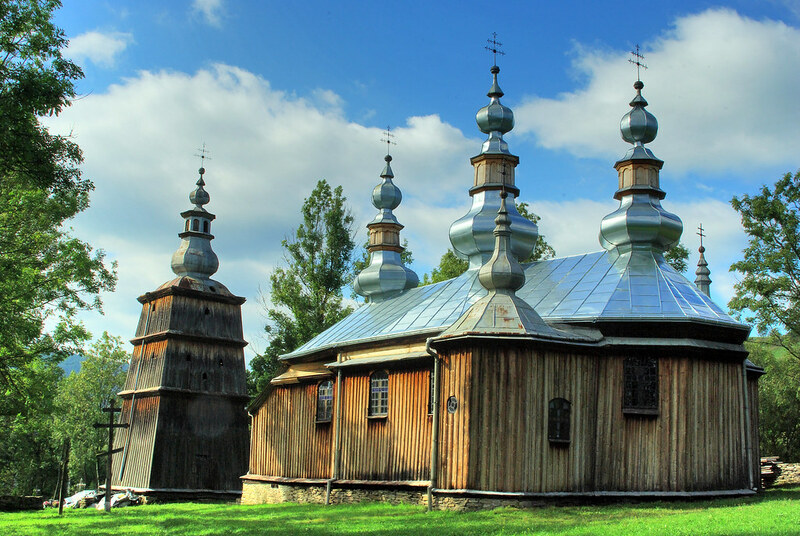 The small but cute Church of St. Archangel Mykhailo, Uzhok, 1745.